Al lange tijd wil ik een blog maken over Coleridge, heb daartoe materiaal verzameld, maar ben er nog niet voldoende uit; dat gaat nog wel even duren. Om toch alvast een blog over Coleridge en zijn belangstelling voor Spinoza te hebben, neem ik hier de tekst uit Robert Willis in Benedict de Spinoza: his life, correspondence, and ethics [Trübner & co., 1870], waarover ik vanmorgen een blog bracht. Daaraan vooraf is het nuttig te weten dat Coleridge en zijn vriend Wordsworth in het najaar van 1798 een reis naar Duitsland ondernamen, waar ze kennis maakten met de Duitse Filosofie, o.a. die van Immanuel Kant en met schrijvers als Goethe en Gotthold Lessing. Ook pikten ze er een en ander over Spinoza op. S.T. Coleridge in his capacity of lay-ecclesiastic and having no fear of Spinoza, requires a brief notice at our hands. H.C. Robinson in his entertaining Diary has the following passage highly characteristic of the man: 'Coleridge walked with me to A. Robinson's for my Spinoza, which I lent him. While standing in the room he kissed Spinoza's face in the title-page, and said: "This book is a gospel to me. 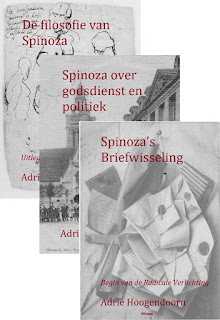 Spinoza's philosophy, nevertheless, is false, has been demonstrated to be false, but only by that philosophy which demonstrates the falsehood of all other philosophies. Did his philosophy commence with an It is instead of an I am, Spinoza would be altogether true." There is something that is right and beautiful in this, but something that is not easily to be understood, and something also that is certainly mistaken, so that from the whole we might feel authorized to say that Coleridge did not understand Spinoza. The 'proceeding per intelligentiam to the subjective;' 'reaching the other pole,' and 'reprogressing to the equatorial point or the identity of subject and object,' are phrases to which Coleridge may have attached a meaning, but with which we can connect none. Substantia sive Deus —that which has the ground of its existence in its essence, in itself, is the natura naturans = the Efficient Immanent cause of all, in Spinozism. The natura naturata, again, the Universe of things, is the objective manifestation of Deity; and man, gifted with intelligence and volition, as he is part of nature at large, object and subject at once, is that wherein the existence of God and of all things acquire conscious form or reality. This was probably what Coleridge aimed at but failed fully to express. 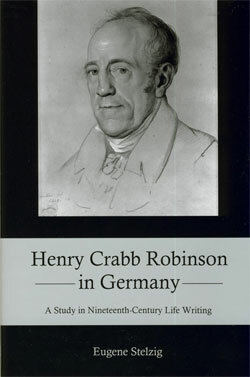 'His doctrines assume an orthodox air, but to me they are unintelligible,' says the sensible H.C. Robinson. Op. Cit. vol. ii. p. 298. Et in Arcadia Ego—I, too, have taken tea at Highgate, and listened to the 'Old man Eloquent!' The impression was precisely that which H.C. Robinson notes: After a session of several hours and an uninterrupted flood of mellifluous words, 'it was painful to me to find myself unable to recall any part of what had so much delighted me.'—lb. p. 297. Al weer put je razend interessante informatie uit gedigitaliseerde oude boeken. Dat Coleridge wat met Spinoza had, was bekend; jij presenteert de specificatie, die hij in Duitsland opdeed. De tekst laat zien dat hij door het Teutoonse idealisme is geinfecteerd. - Overigens die Willis formuleert heel origineel en schetst Coleridge's kritiek heel duidelijk. Ik vraag mij af of zijn TTP E-vertaling inderdaad slecht is, zoals in Engeland werd beweerd. Zou eens moeten worden nagegaan; voorlopig ontbreekt mij daarvoor de tijd.